Can you help guide a pack of hopeless animals away from death? Based on the classic puzzle game, this one's full of mindbenders, brainteasers, and fast action. Your job is to identify each animal's special talent and use it to help save the others. For example, one lemming might be good at blocking, while another might be a particularly gifted builder. 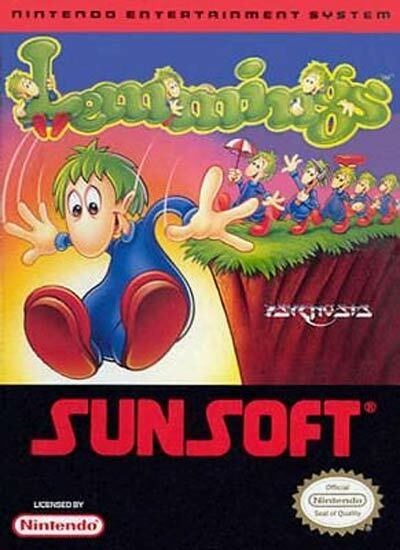 Full of original gaming ideas, perhaps this title's best feature is its Self-Destruct button, which causes each lemming to explode. Where else are you going to find that?, Can you help guide a pack of hopeless animals away from death? Based on the classic puzzle game, this one's full of mindbenders, brainteasers, and fast action. Your job is to identify each animal's special talent and use it to help save the others. For example, one lemming might be good at blocking, while another might be a particularly gifted builder. Full of original gaming ideas, perhaps this title's best feature is its Self-Destruct button, which causes each lemming to explode. Where else are you going to find that?